February is a big month for birthdays in my office. I baked a carrot cake with cream cheese icing for Tash (and failed to photograph it, hence the lack of blog post) and, when I asked Lisa what she would like for her birthday, her first response was “something with that icing – I love that icing”. 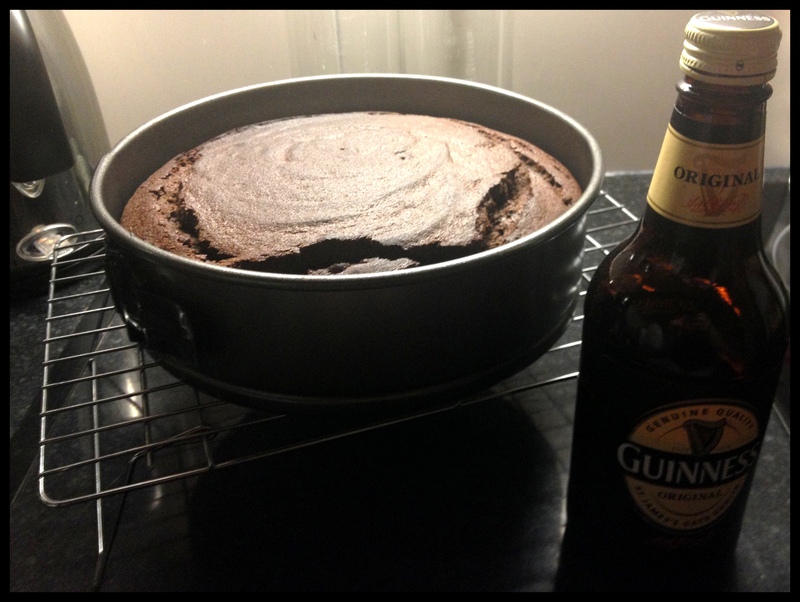 I selfishly took advantage of her non-specific request to make something I’ve long been wanting to try: Chocolate Guinness Cake. Preheat to 180C, and grease and line a 23cm spring-form or loose bottomed tin. 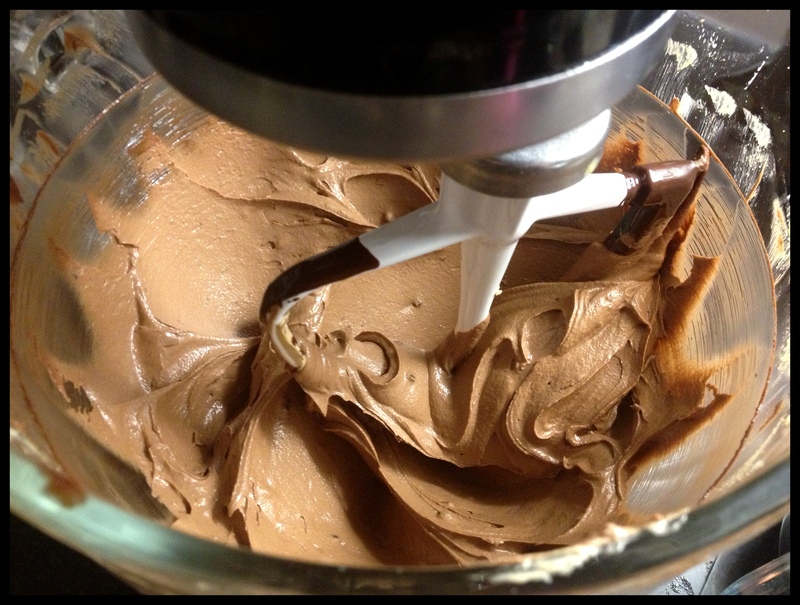 Beat the sugar and butter until it is fluffy and pale, then keep mixing on a slow speed while you pour the chocolate in. 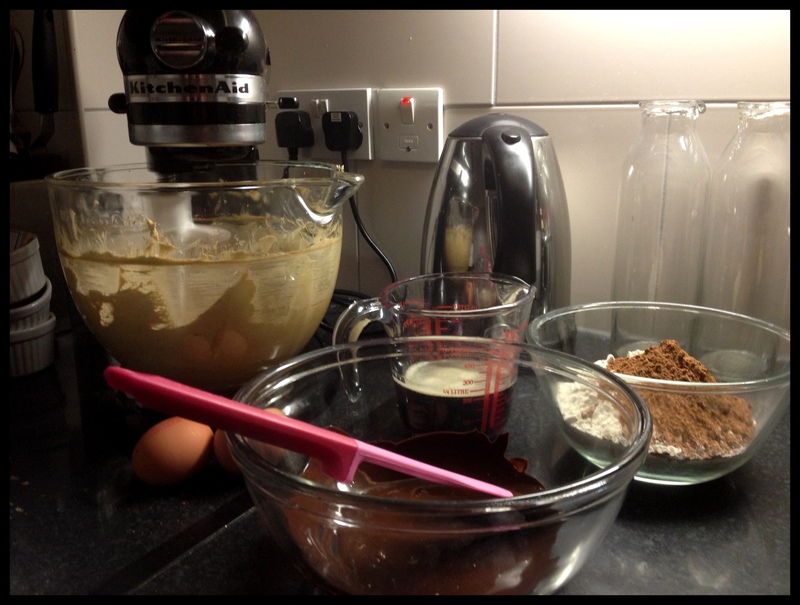 When fully combined, add one egg, mix thoroughly, then sift in a third of the dry ingredients and mix in. Add the second egg, mix thoroughly, then sift in another third of the dry ingredients and mix. Add the Guinness, mix thoroughly, and sift in the remaining third of the dry ingredients and mix. Scrape down the edges of the bowl and give it a final whizz. Pour into the prepared tin and bake for 30-40 minutes (check at 30 and if a skewer comes out gooey, put it back in for five minutes). Allow the cake to cool in the tin. Put your icing sugar in the jug, and chuck in the butter in little blobs. Cover the top of the bowl with a tea towel before setting the mixer running on its slowest setting. Mix until it looks like the texture of sand / breadcrumbs. Throw all the cream cheese in at once, cover the bowl again and mix on slow until combined. Then remove the towel and hike the speed up to medium-high for 3-5 minutes until the icing is lovely and fluffy. Watch and listen to it carefully, and be VERY careful not to over-mix it, as it will become sloppy. 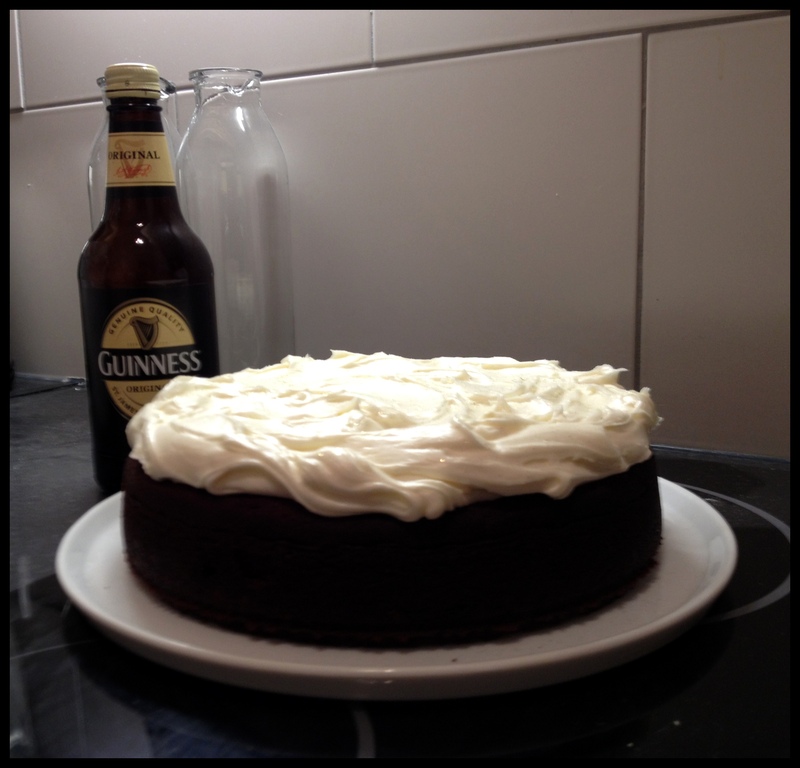 This entry was posted in Cooking & Baking, Uncategorized and tagged cream cheese icing, Guinness cake by wordspicturesandcake. Bookmark the permalink. How did you get the icing on in those amazing whippy folds? And can you taste the Guinness? Yes, the Guinness comes through really gently, and gives a delicious, almost savoury note. 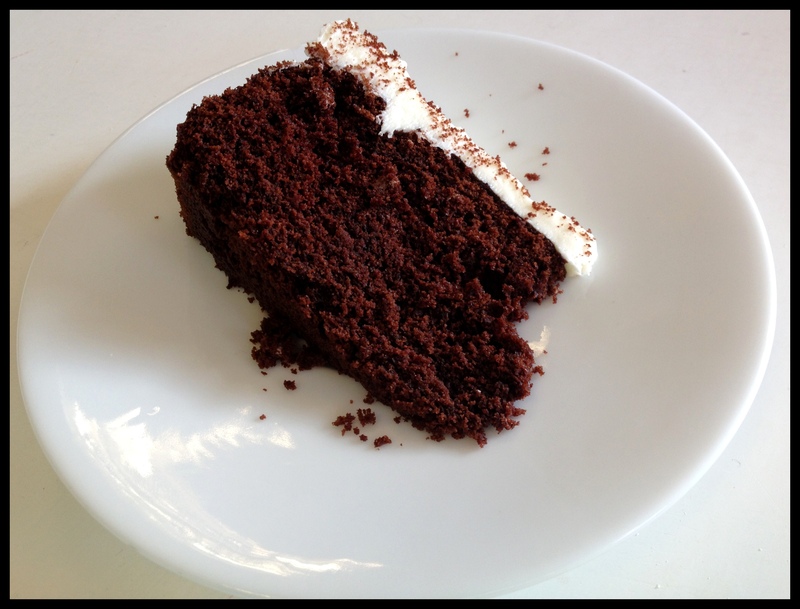 It’s really good combined with the cream cheese frosting, which delivers a tang along with its sweetness. 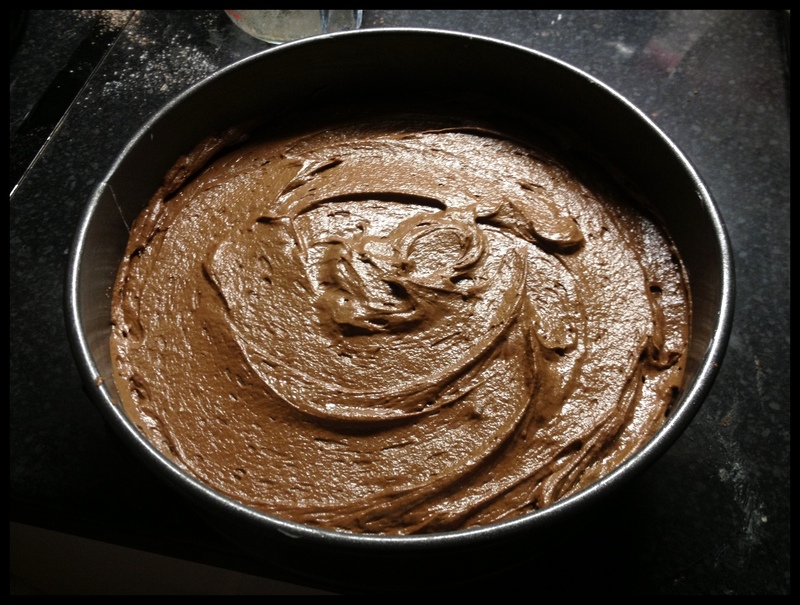 I beat the icing for a good few minutes to make it as fluffy as possible then I heaped the whole lot in a big mound and gently pushed it out from the middle so that the folds that were there when it was in the mound remained undisturbed. Does that even make sense?? Basically, I tried to touch it as little as possible so that it made its own patterns.